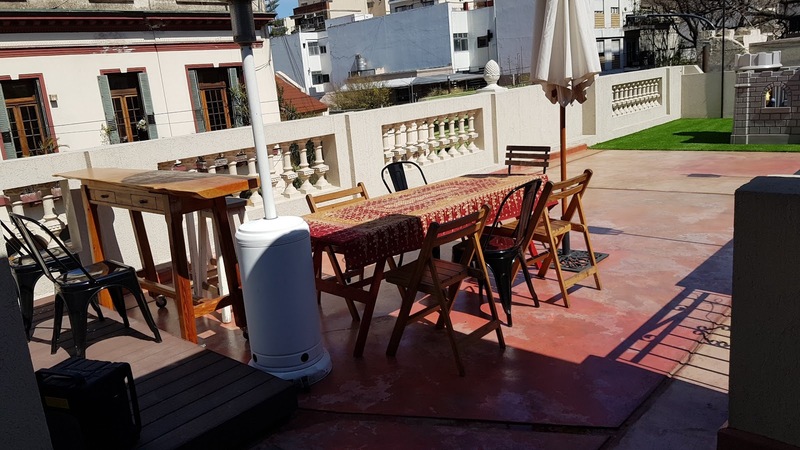 This site is about Casas Chorizo and how exterior space of a typical Casa Chorizo was transformed with a stylish, tranquil and entertaining Patio and Rood Terrace in Buenos Aires City Center. 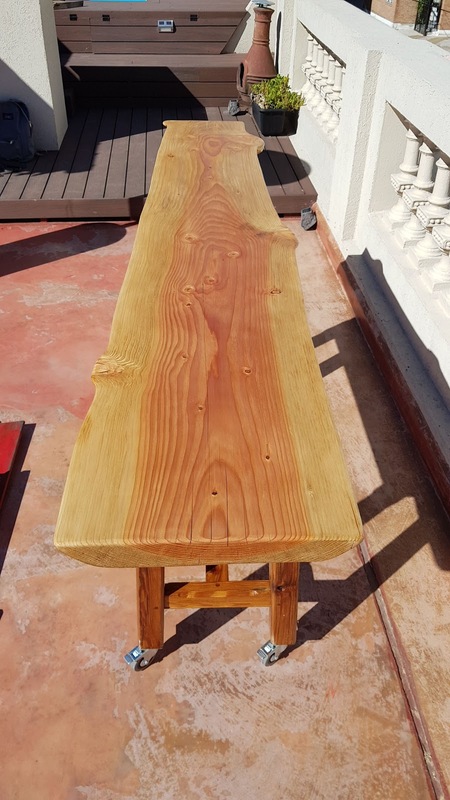 With the Argentinean Parrilla on the terrace, we also wanted to ensure that we can facilitate lunching and dining on the same level. 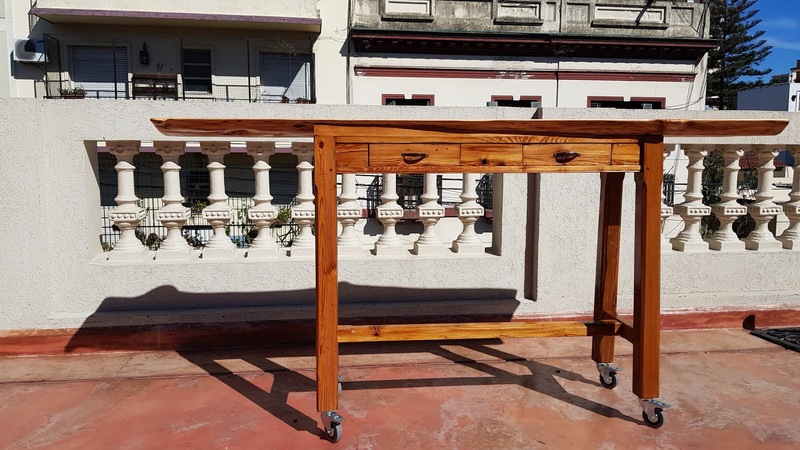 We already had a large table but also wanted to have a bar table that could be easily moved from one to the other side of the terrace. 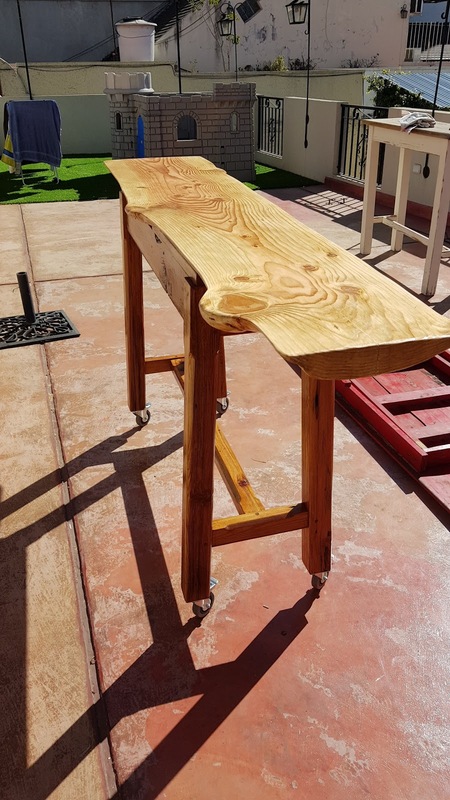 A special carpenter helped us wtth a special 2.5 meter tree trunk we bought in Patagonia and made this bar table with wheels. The top is one piece of hard wood and the original curves and rings are nicely preserved and shown. 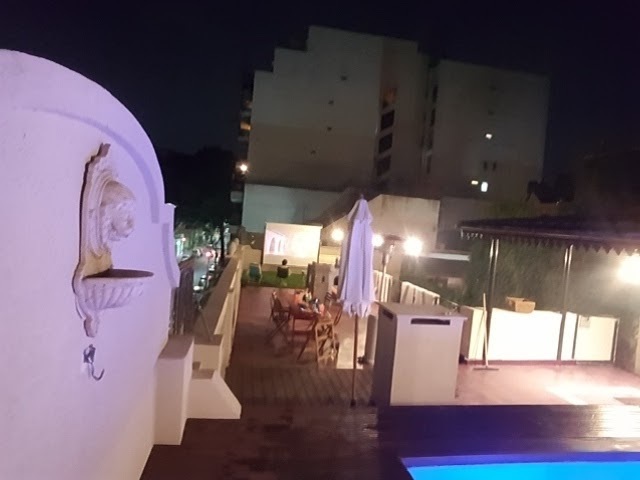 To dine or lunch we can use either one of the tables in the center of the terrace, close to the parrilla and kitchen and with on one side the pool and on the other side the play space and cinema. You can click on the links on the top menu to see the other topics how we converted our outdoor space to our ideal place to be. Copyright 2017, Casa Chorizo. All rights Reserved.